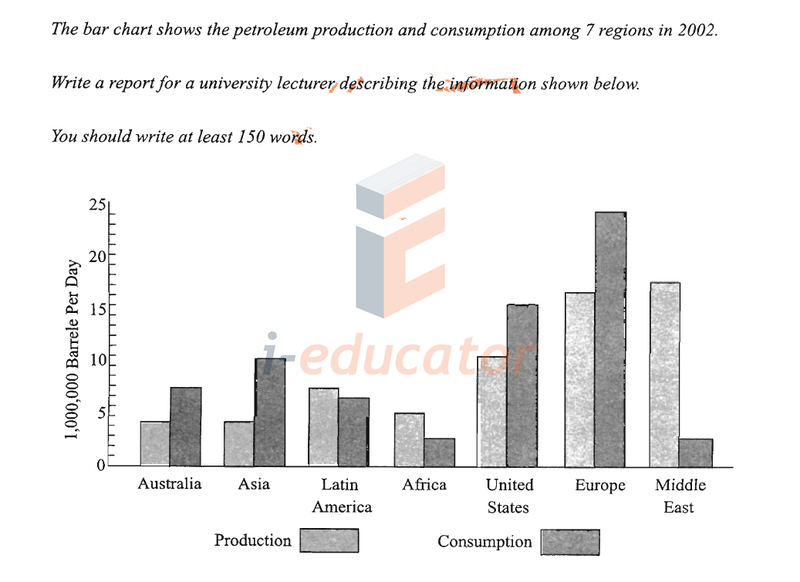 1.The bar chart shows the petroleum production and cosumption among 7 regions in 2002. 2. 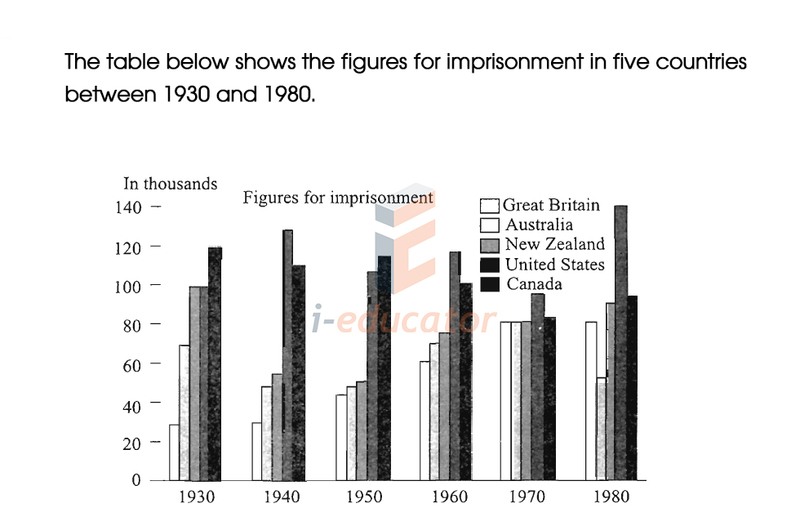 The table below shows the figures for imprisonment in five countries between 1930 and 1980. 3. 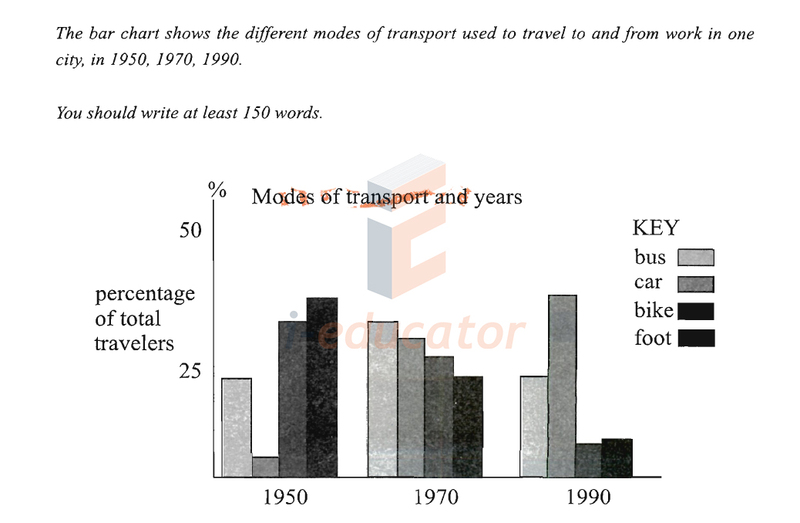 The bar chart shows the different modes of transport used to travel to and from work in one city, in 1950, 1970, 1990. 4. 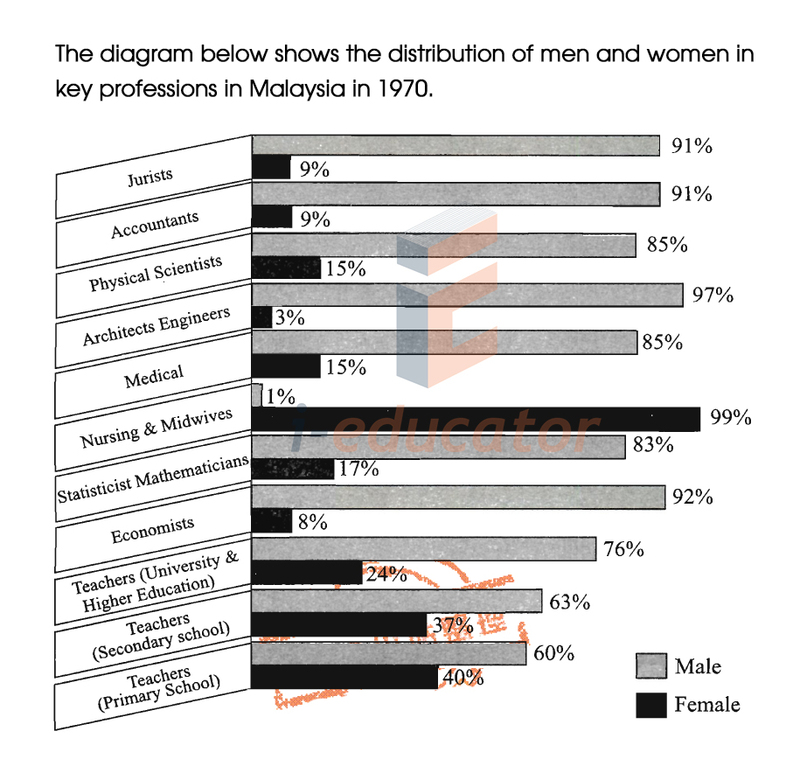 The diagram below shows the distribution of men and women key professions in Malaysia in 1970. 5. 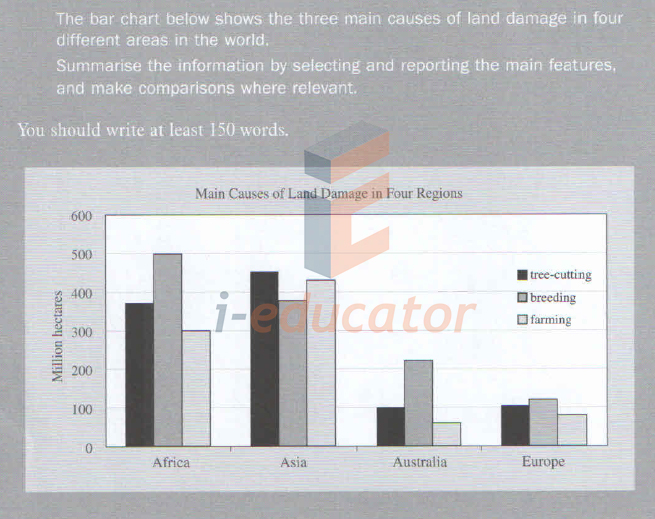 The bar chart below shows the three main causes of land damage in four different areas in the world.